Edward Steichen (1879-1973), Photographer. Artist of 7 portraits. Actor, director, and designer (Edward Henry) Gordon Craig advocated for the use of large, neutral screens in theatre sets, which he believed could serve as blank slates for the pure emotional expressions of actors. Here Craig himself poses like a screen, a solid, formidable presence. 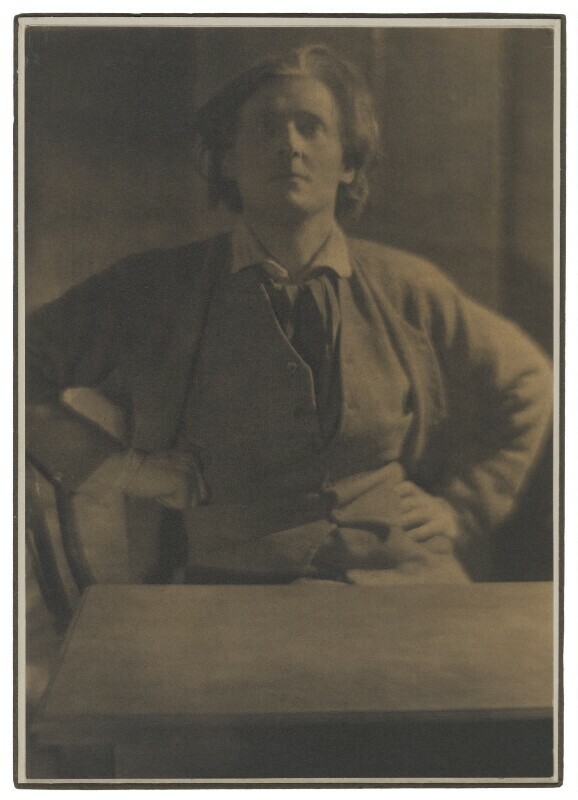 The print itself is unique, made by hand by the photographer Steichen by coating an emulsion of photosensitive gum Arabic solution over a print made of platinum salts.